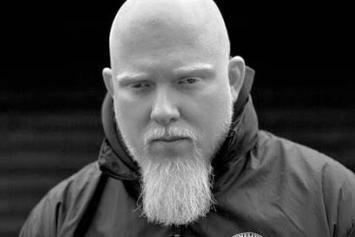 Brother Ali Gets Candid In Music Video For "Sensitive"
Behold Brother Ali "Addresses Trayvon Martin Trial & Racism" Video, a new offering from Brother Ali, which was released on Tuesday, July 16th, 2013. Brother Ali's rap artistry continues to improve with every release, something which is most definitely evidenced on Brother Ali "Addresses Trayvon Martin Trial & Racism" Video. His ever - expanding catalogue is definitely better for it, and we're looking forward to the next piece of the puzzle - aren't you? Behold Brother Ali "Work Everyday " Video, a new offering from Brother Ali, which was released on Wednesday, March 27th, 2013. Brother Ali's rap artistry continues to improve with every release, something which is most definitely evidenced on Brother Ali "Work Everyday " Video. His ever - expanding catalogue is definitely better for it, and we're looking forward to the next piece of the puzzle - aren't you? Peep Public Enemy Feat. 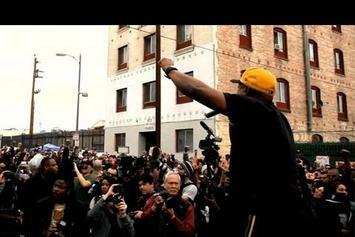 Brother Ali "Get Up Stand Up" Video, the latest visual from Public Enemy. It dropped on Monday, March 11th, 2013. Public Enemy's future brightens with every new release, and Public Enemy Feat. 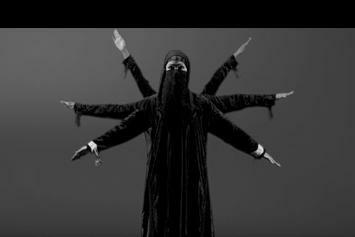 Brother Ali "Get Up Stand Up" Video certainly isn't an exception. It's a fitting addition to a solid catalogue that Public Enemy has been developing since stepping foot in the game. We're excited to hear more. 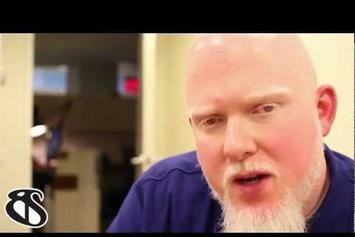 Peep Brother Ali "Discusses What Inspires Him" Video, the latest visual from Brother Ali. It dropped on Friday, January 11th, 2013. 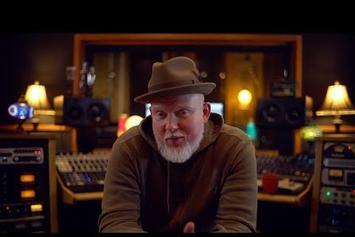 Brother Ali's odds keep getting better with each new leak, and Brother Ali "Discusses What Inspires Him" Video will undoubtedly improve his chances of winning. It's a worthy addition to a respectable catalogue that has seen a lot of growth since Brother Ali debuted in this game. We're looking forward to the follow-up. Stream Brother Ali "Nardwuar Vs. 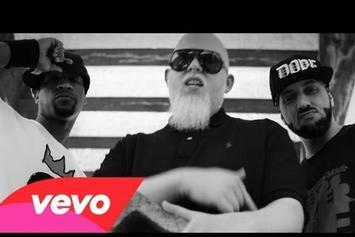 Brother Ali" Video, the latest video from Brother Ali, which dropped on Tuesday, November 27th, 2012. Brother Ali's odds keep getting better with each new leak, and Brother Ali "Nardwuar Vs. Brother Ali" Video will undoubtedly improve his chances of winning. It's a worthy addition to a respectable catalogue that has seen a lot of growth since Brother Ali debuted in this game. We're looking forward to the follow-up. Experience Brother Ali "Only Life I Know" Video, a new offering from Brother Ali, which was released on Wednesday, September 12th, 2012. Things are looking better for Brother Ali with each new release, which Brother Ali "Only Life I Know" Video has proven yet again. It's worthy addition to the impressive body of work Brother Ali has been developing over the years. We're looking forward to hearing what's next. Peep Brother Ali "Unfolding "Mourning In America And Dreaming In Color"" Video, the latest visual from Brother Ali. It dropped on Monday, September 10th, 2012. Brother Ali's future brightens with every new release, and Brother Ali "Unfolding "Mourning In America And Dreaming In Color"" Video certainly isn't an exception. It's a fitting addition to a solid catalogue that Brother Ali has been developing since stepping foot in the game. We're excited to hear more. Stream Brother Ali "5 Fingers Of Death Freestyle" Video, the latest video from Brother Ali, which dropped on Monday, September 10th, 2012. Brother Ali's odds keep getting better with each new leak, and Brother Ali "5 Fingers Of Death Freestyle" Video will undoubtedly improve his chances of winning. It's a worthy addition to a respectable catalogue that has seen a lot of growth since Brother Ali debuted in this game. We're looking forward to the follow-up. Experience Brother Ali "Exclusive Freestyle and Interview" Video, a new offering from Brother Ali, which was released on Thursday, September 6th, 2012. Things are looking better for Brother Ali with each new release, which Brother Ali "Exclusive Freestyle and Interview" Video has proven yet again. It's worthy addition to the impressive body of work Brother Ali has been developing over the years. We're looking forward to hearing what's next. 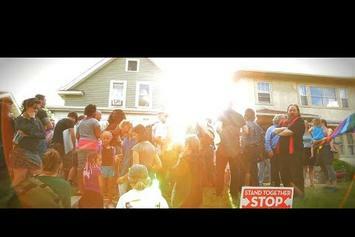 Experience Brother Ali "Mourning In America" Video, a new offering from Brother Ali, which was released on Thursday, August 30th, 2012. Things are looking better for Brother Ali with each new release, which Brother Ali "Mourning In America" Video has proven yet again. It's worthy addition to the impressive body of work Brother Ali has been developing over the years. We're looking forward to hearing what's next. Watch Brother Ali "Prepares For Mourning In America Tour" Video, the latest video from Brother Ali, which dropped on Thursday, August 9th, 2012. Brother Ali's horizons are broadening with each new release, and Brother Ali "Prepares For Mourning In America Tour" Video is no exception. It's a worthy addition to a catalogue that has seen much growth since Brother Ali stepped foot in the rap game. We're looking forward to hearing more. Experience Brother Ali "Not A Day Goes By" Video, a new offering from Brother Ali, which was released on Wednesday, May 2nd, 2012. 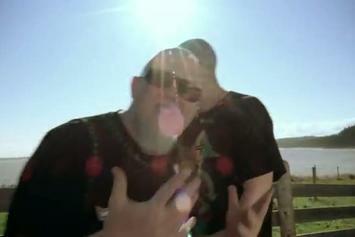 Peep Brother Ali "Shine On" Video, the latest visual from Brother Ali. It dropped on Friday, February 10th, 2012. Brother Ali's future brightens with every new release, and Brother Ali "Shine On" Video certainly isn't an exception. It's a fitting addition to a solid catalogue that Brother Ali has been developing since stepping foot in the game. We're excited to hear more. Get a load of Brother Ali "Writer's Block" Video, a new visual from Brother Ali that saw the light of day on Tuesday, January 3rd, 2012. Brother Ali's movement grows stronger with each new release, and Brother Ali "Writer's Block" Video has further strengthened that fact. It's a solid addition to the commendable body of work Brother Ali has been creating since stepping foot in the rap game, and we're definitely looking forward to what Brother Ali has on deck.